After many years of languishing in the loft (alongside a super sabre) I've dragged my original Manta Ray in to the daylight. From the stickers on the body, this is a racecraft FRP chassis (I have the original too). The car also has bearings instead of the plastic ones that come in the kit, there may be a few more bits and pieces I've forgotten too. 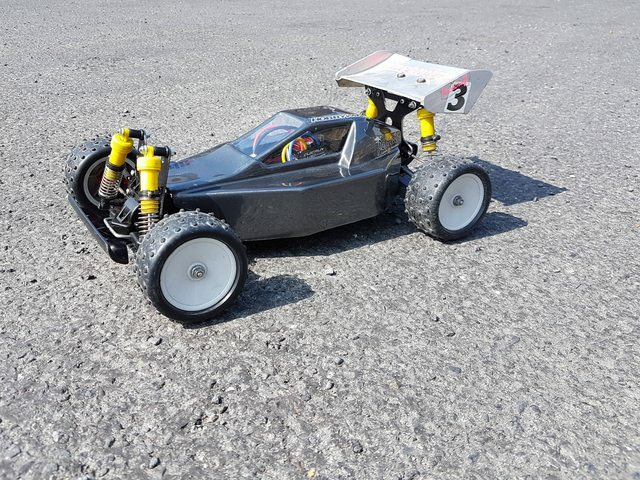 The front shock mount is very weak on one side and moves quite a bit if you just push the suspension up and down, can I use a stock "top force" part ? 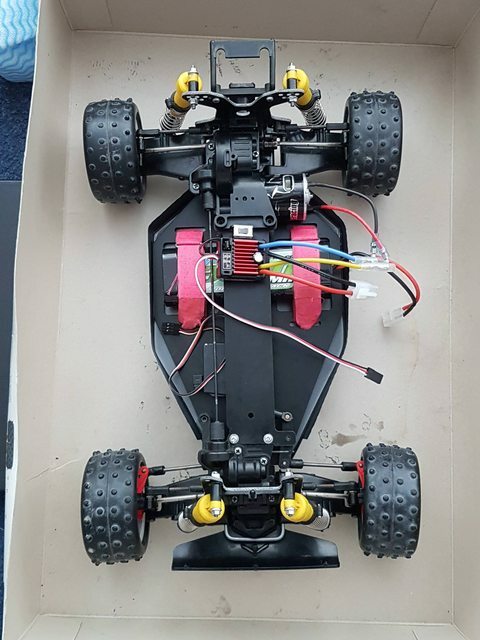 I used to have a Tekin esc and had high capacity batteries I got from a guy who used to race various cars, all that and the radio gear is long gone, so I need a few bits to make it go again, how is this for a list ? Lots have changed since I paid any attention, so if there are better alternatives let me know! I'm hoping that the straps will hold the battery well enough, I can remember soldering the batteries together to make "saddle" packs back in the day, but I don't see any for sale now. The only thing I couldn't track down is the wiring of the asima receiver - the ESC (its an mtroniks) instruction manual shows the wiring for futaba / acoms etc but not absima, does anyone know if its the same as another manufacturer ? 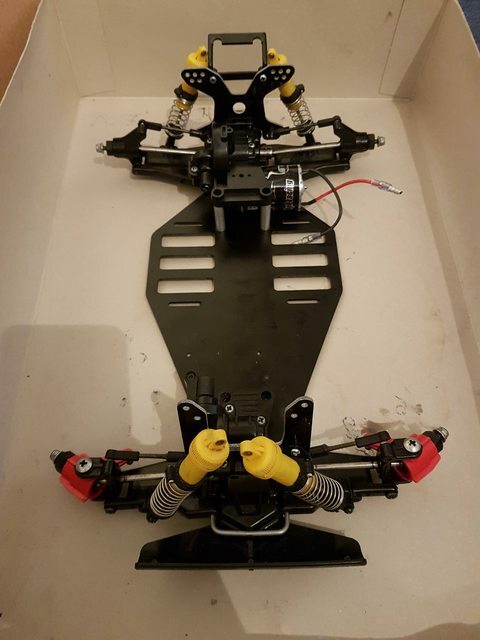 the other question I had was I understand that this chassis was also later used as the TA01 with shorter shocks - if I buy the shorter shock mounts (front and back) and some shorter shocks (I believe TA01 were 55mm) is that all I need to transform it? The Manta Ray body is rough so I was thinking I could run one of the touring car bodies instead. Does anyone have a suggestion for shorter shocks ? 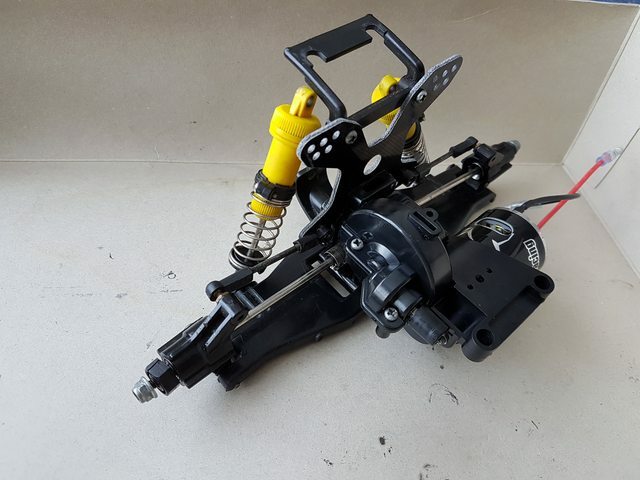 Get the Manta ray motormount and driveshaft upgrade, Top force Jparts, frp or carbon shockmounts fibrelyte or Tamiya, and on the top force facebook group i have seen a bodyshell that should fit to the chassis plates. 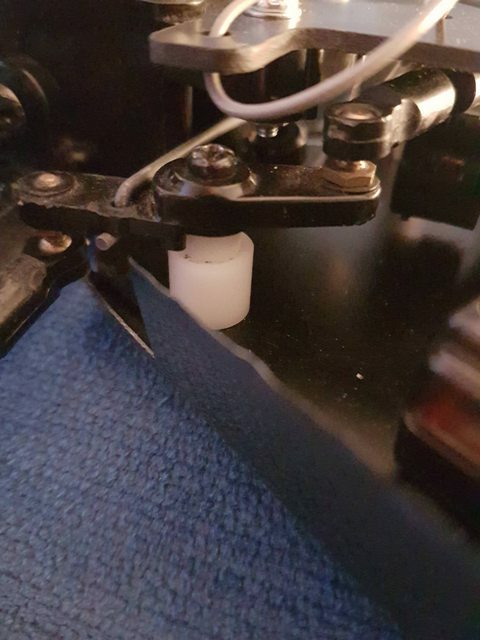 I can't remember which type is which (futaba, JR and sanwa come to mind) , but the servo/esc to receiver plastic plug housings usually come as either tabbed or untabbed. The absima receiver seems to have tabbed holes, so either type of plug should fit it, unless the esc plug has totally different dimensions to the 'standard'. 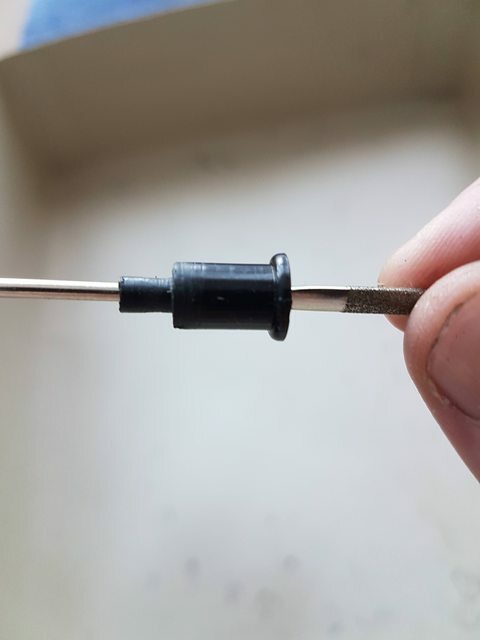 You could always just trim the plastic to fit if it doesn't, or remove the pins from the plastic and plug each of the 3 pins into the receiver directly. Thanks for the TA01 details, I saw some pictures that seemed to show shorter arms, I'll stick with the buggy set up. So, I have some more questions..
Diffs/gearbox seem fine and I didn't think there was much damage elsewhere until I went to undo the lower screws for the rear gearbox and found the casing has snapped and the screws were doing nothing! new one on the way. The front shock mount had an alarming amount of flex, because it was broken - it was always a weak point, so I've ordered top force mounts. Looking at the top force manual, it used some sleeves for the shock mounts, does anyone know of a source? 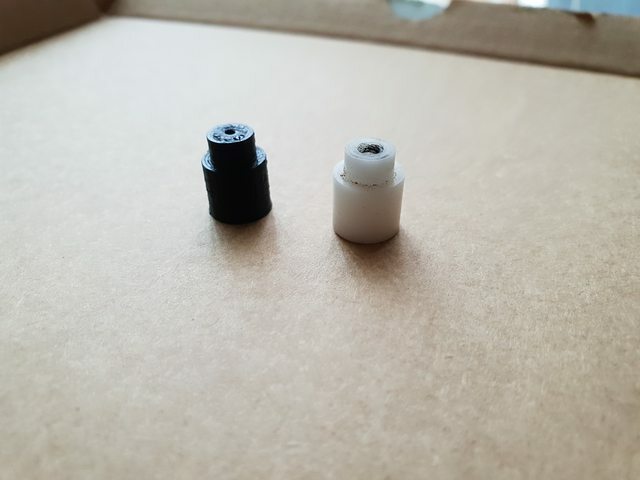 they are in the balljoint bag, part number 9405709 https://tamiyabase.com/index.php?option=com_joodb&amp;view=article&amp;joobase=10&amp;id=4413&amp;Itemid=775 happy to buy the whole bag as I need other parts from it anyway. The motor pinion was with the car and its an 18 tooth. 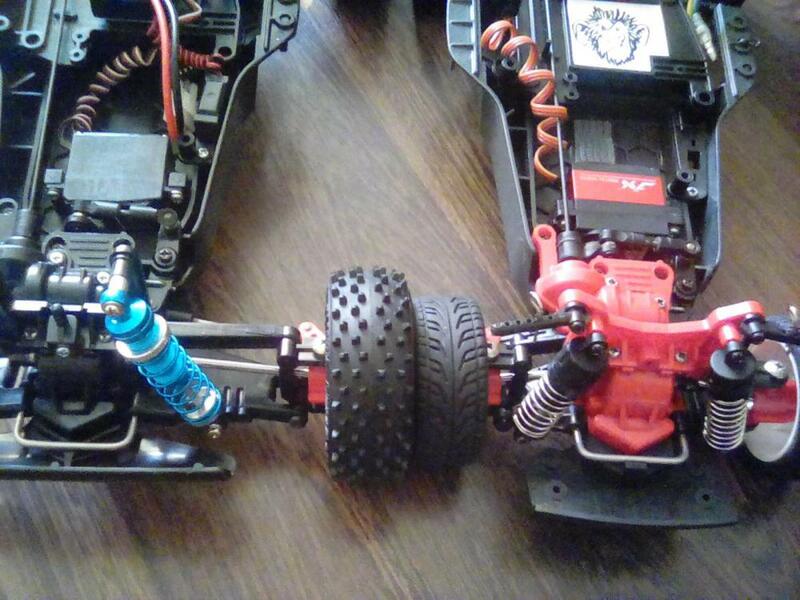 I'll probably stay with a brushed motor and was thinking about somwhere around a 20 turn - modelsport have a whole bunch of motors, are the SMD ones any good ? I'll probably get a simple ESC like an Mtroniks. Currently looking for stick radio that is half decent - the cheap futaba set looks horrendous, the cheap absima and carson sets are worse and don't seem to have great reliability either. The body is completely missing the nose, so needs replacing. It also it doesn't really fit the undertray (see below) - I could at least make the front part seal with a bit of velcro. 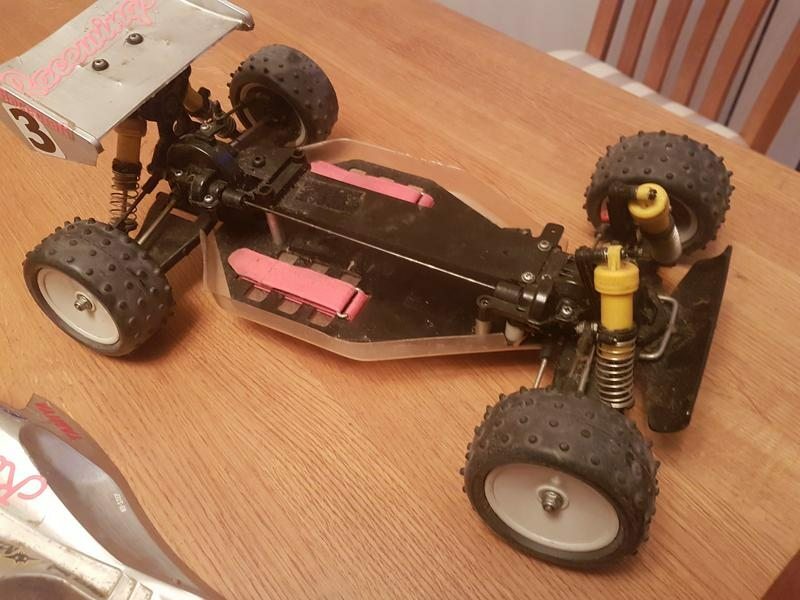 Alternatively I could use the original chassis tub (I still have it) or there are the old racecraft bodies available, which obviously are a different shape. Not sure which way to go - suggestions ? I stripped it down and found the lower gearbox mount screws were doing nothing as the plastic had snapped around them. I wonder if that happened when it was last used? Cleaned the innards and used silicone oil/grease stuff a local shop suggested, seems ok. New OEM motor mount as it was on the gearbox sprue was used to mount a HPI firestorm 15T motor. Note the top force OE suspension mount. 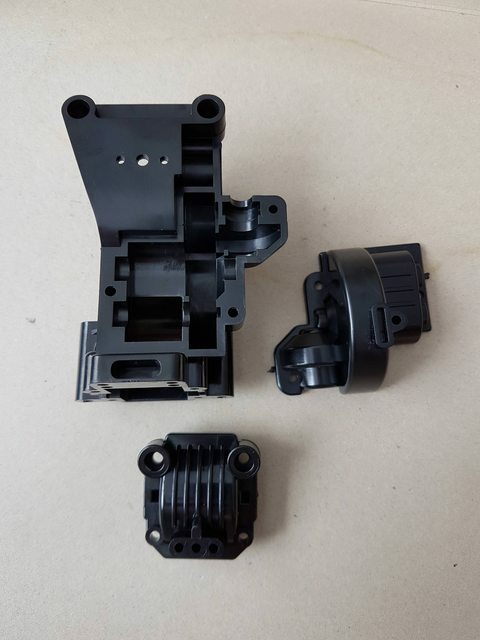 Used the same on the front and the requisite plastic mount from the J parts sprue. This was mainly because the original front mount was cracked and had an alarming amount of flex in it. I put the gearboxes back on the chassis for a look. Note: shocks not yet mounted. The shocks didn't mount any more because the manta ray mounts have a boss on them and you use a shouldered screw to mount the shocks. Having done away with those, the shocks needed to be spaced off and also needed a bush in the top eyeto allow them to be bolted in with an M3 machine screw. 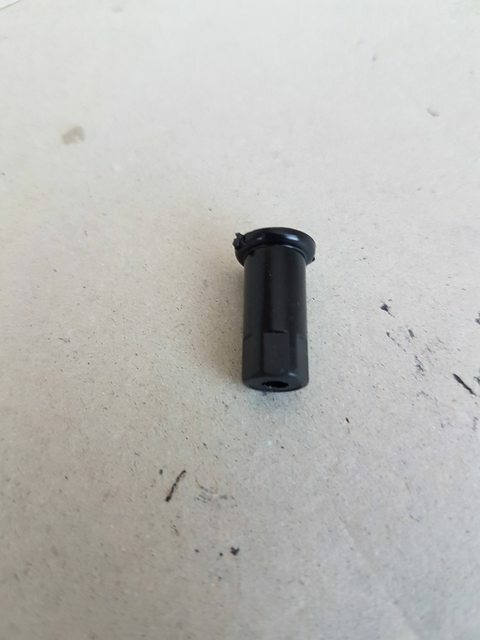 The top force spacers don't appear to be available.. so I happened to find four of these on the top force J parts sprue. If I had a lathe I would have made these in metal, would be a fairly easy job. Anyway, shocks mounted, I need to get some M3 x 25 machine screws, using rod and a nut each end for the moment. Shell trimmed, painted along with the undertray. Futaba S3003 servo (which is what I think it was originally built with) added, along with a hobbywing 1060 esc. Not shown is the cheap carson 2.4Ghz receiver - I had a Futaba Attrack-R set back in the day which was a much nicer transmitter, the carson will do for now. And a test run in the sun this afternoon went well! The original wing is pretty beat up and is not worth repainting, so I'll find something else. One small thing that I've been working on tonight, the racecraft chassis uses some plastic posts to allow the OEM steering mechanism to mount, they replace the mounting holes in the front of the stock chassis. When putting it back together I found the thread stripped in one of them, I managed to repair it by using a small section of an aerial straw to pack out the hole - its fine but i daren't undo it again! here's one, its the white part. I've exported this as an STL file and submitted to https://www.3dhubs.com for review and (if its all ok) printing, so I'll have some spares. Its cheap to have stuff printed, so I'll get half a dozen. If anyone else with a manta ray finds themselves with the same problem, just shout and I can share the stl file. 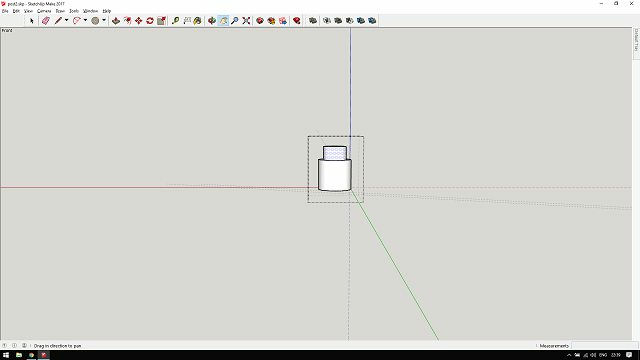 If that's your first time using sketchup, well done! Even if it is not, well done. It was the first time, 3D hurts my head ! 3dhub does a certain amount of auto validation, the first one complained about all sorts of things, so I started from scratch and followed a few forum posts to ensure that there were no intersecting faces and meshing problems. Essentially I had to ensure the object was solid and one piece. I'll see what the guy says when he looks at it tomorrow, he's already done some CW-01 parts for me that shipped today. That's great, I've been meaning to try as well, you may have just inspired me. Nice DF01. Pardon my ignorance, but what/who was Racecraft? Did they make lots of parts for the DF01 chassis back in the day? Racecraft made parts, a little like fibre lyte do now I guess. In this case it was the upper and lower chassis deck conversion. I don't recall them making the body back then but obviously they did and penguin still make them today.. I've been trying to think where I found them - probably an advert in an RC magazine given it was pre internet days, I'm pretty sure I got it through the post which was a fairly rare thing in those days because generally you just purchased stuff in shops. 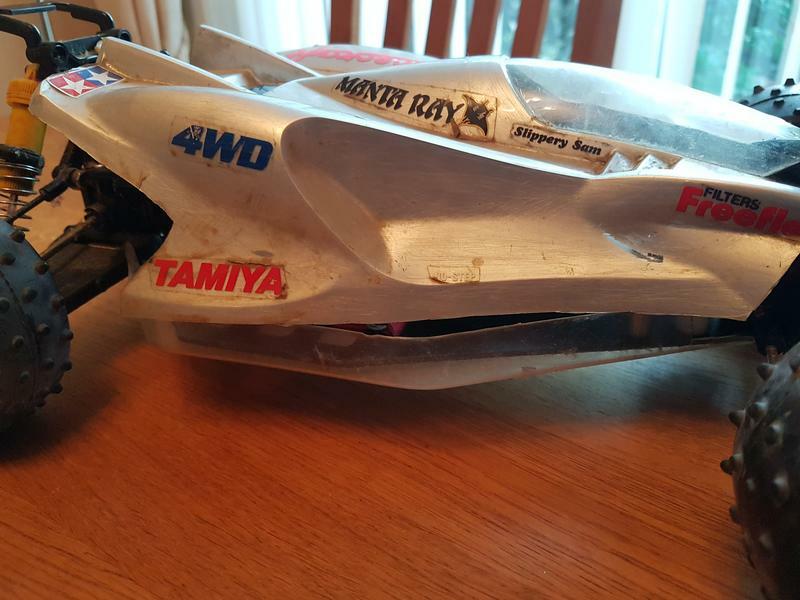 I found this picture searching for old manta ray upgrades, I think there were a few companies back then doing similar parts. You'll notice this one has a different steering post arrangement, thus answering what the lug in the top plate was for! Just a small update on the 3d printing. My sketchup drawing turned out wrong - not really sure what was going on - measurements in sketchup were correct but when loaded in to 3dhubs they were incorrect, the printer verified this for me so I abandoned sketchup and found http://www.tinkercad.com which is much easier to use, I re-drew the post and it looked good according to 3d hubs, so I got a dozen printed. This 3d printing lark is awesome! The black one looks smaller in that photo, but its exactly the same size, just need to put a drill through it for the self tappers. I will put the STL file up on thingiverse a bit later so others can use it. I got a dozen printed for a fiver! I can recommend Tinkercad and 3d hubs - its a breeze to get stuff printed and 3d hubs put you in direct contact with the person who is going to print your stuff, they guy that did all mine has been really helpful. I think the next thing I will try and print is lunchbox body mounts in TPU. 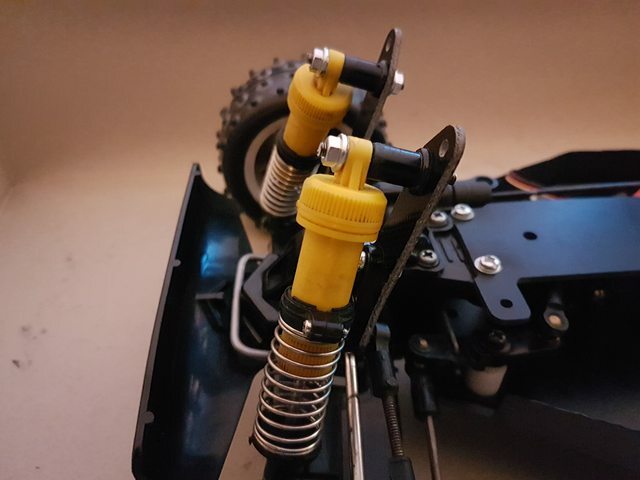 If plastic mounts break and the metal ones just snap out of the chassis I reckon it needs a bit of compliance, so it the mounts flexed a bit it could be a better solution. TPU is a flexiable material (a bit like those "skin" phone cases), so might be just the ticket.